The Healing Apprenticeship is a series that defines the theory and practice of Chinese Daoist Physiology applied to the Healing Arts. 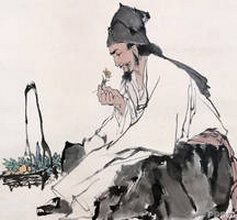 Though Chinese Daoist alchemy does not focus on medical diagnosis and treatment, its concepts of the natural patterns and cosmic nature of the human body, informed early and medieval traditional Chinese medicine. In this course we will wander over Daoist-inspired medical and mantic sciences (astrology/fengshui and human physiology) with an eye to the applications that may be suited to a modern healthcare practice. Da Yuan Circle advises new listeners of the Healing Apprenticeship to start at the beginning by listening to the free introductory recording in the 2011: Possession Series. The first several talks of the 2011 series establish a foundation for the rest of the following recordings to make sense.